Finely crafted in the USA from North American Hardwoods, sanded & ready to finish in either stain or paint. Can be trimmed on each end up to 3". Use the Summit Valance to add a simple, yet polished, finishing touch to hoods and ranges, windows, cabinetry and more. 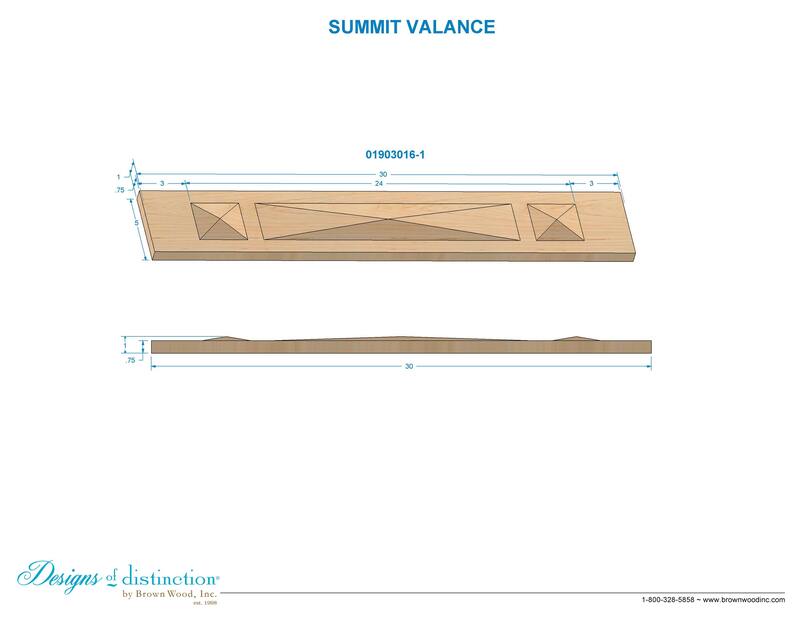 The Summit Valance is part of our Pinnacle Collection, though it complements various styles of décor. Use to decorate walls, mantels, and create cornice boards and boxes. Shop matching components in our Pinnacle Collection.